The sport of MMA has given us more than its share of nasty-looking injuries over the years. You can add this one to the list. Over the weekend, an English welterweight fighter named Jack Mason suffered a brutal head wound in a TKO loss against Hakon Foss at Cage Warriors 93. If you’re squeamish, you might not want to scroll any further. It all started when Foss leveled Mason with a flying knee to the head. If you found yourself watching that and saying “That’s going to leave a mark,” you were right. Oh boy, did it ever. After the fight, MMA veteran John Maguire posted video of Mason’s wound. It is so deep, you can actually see his skull, which Maguire casually points out. How many stitches do you think Mason needed to close that cut? We can’t even imagine. 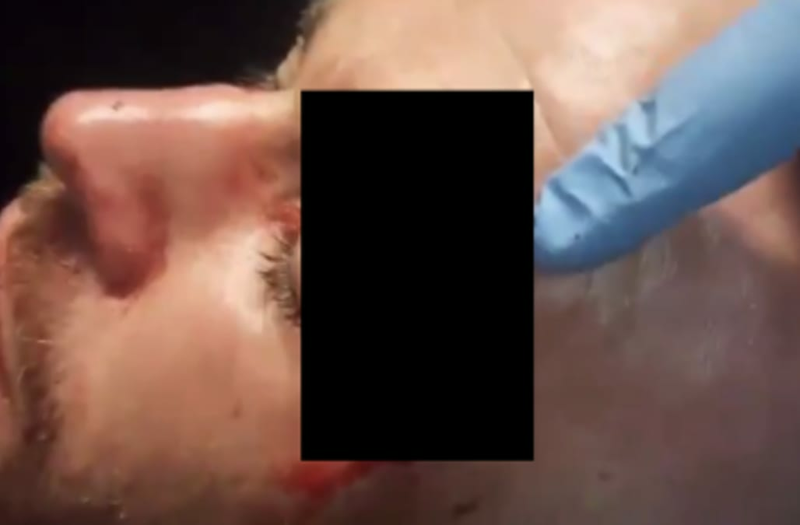 The post Extremely Graphic Photo Of MMA Fighter’s Head Injury Is Going Viral appeared first on The Spun.